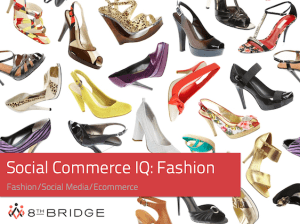 Social Commerce IQ: Fashion. Consumer findings from the report include: 53% of people have liked a fashion page on Facebook to stay informed about new offers. 7% of people share purchases; while 13% share deals. 48% of consumers would be motivated to make a purchase on Facebook if there was an attractive deal. B2B Marketers Still Unsure about Social Media Strategies. Almost two-thirds of B2B marketing executives view social media as an extremely important or a very important channel to interact with customers, partners and stakeholders. However, only 7% of the survey group felt that their organization was leveraging social media very heavily. Social Media: Catching up with the Banks. Banks and financial institutions are behind the curve when it comes to using social media as a communications tool. They are catching up, but there is still a high level of uncertainty regarding how to best utilise it. Why Americans Use Social Media. 66% of online adults use social media platforms. These internet users say that connections with family members and friends (both new and old) are a primary consideration in their adoption of social media tools. Roughly two thirds of social media users say that staying in touch with current friends and family members is a major reason they use these sites. 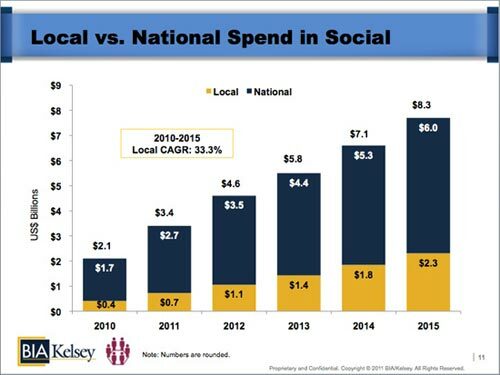 US Social Local Advertising Revenues to Reach $2.3 Billion in 2015. BIA/Kelsey’s first forecast of geotargeted social media projects the local segment of US social media advertising revenues will grow from $400 million in 2010 to $2.3 billion in 2015, representing a compound annual growth rate of 33.3 percent. During the same forecast period overall US social media ad revenues to grow from $2.1 billion in 2010 to $8.3 billion in 2015 (CAGR: 25.7 percent). Accountants Hesitate to Embrace Social Media as Business Tool. 62 percent of participants do not trust the information on social networking sites. 58 percent of participants think face-to-face is the best use of time. 39 percent of respondents’ businesses have a social media strategy. 66 percent of respondents are concerned about the security of their personal information. 22 percent follow thought leaders in their industry on social media sites. LinkedIn is the most popular social media tool for professional use. Midmarket Insights from the Global Chief Marketing Officer Study. Understand individuals as well as markets. Determine how data can help build customer relationships. Strengthen brand identity and, by extension, customer loyalty. Demonstrate the ROI of marketing programs. Study on Social Media Adoption by Companies in China. 87% of respondents said they use social media on a daily basis. However, frequency of social media use varied significantly depending on the type of ownership and on the industry, with non-traditional industries and SMEs having the highest acceptance and use of social media. Companies continue to struggle with social media measurement: report. Companies are still grappling with the issue of measuring social media, though fewer are reporting that they are unable to measure ROI (37%) compared with 47% last year. 41% of company respondents report that do not have an ROI figure for any of the money they spend on social media marketing, while 26% say they can attribute an ROI figure to a tiny amount of the money spent on social media. Just 8% can determine ROI for all of their social media spending. 88 percent believe social media marketing has business impact. The reasons for using social media content identified by the poll include improved brand awareness, lead generation and customer service among other things. However, some companies said they weren’t really sure why they use it despite seeing positive benefits from the service. This speaks to the rising need to set social marketing goals; as Brafton has reported, just 23 percent of businesses are happy with their social analytics and setting social success metrics was a topic at the recent SES Chicago conference. 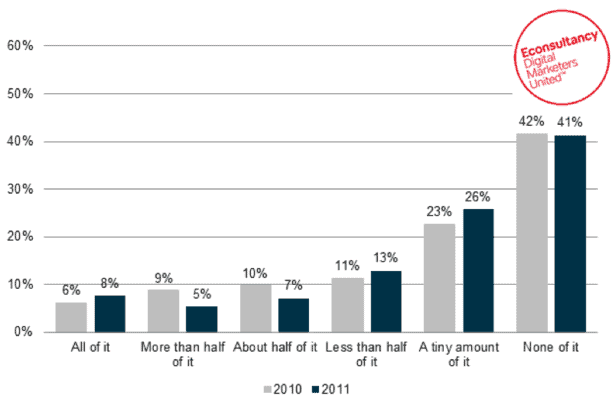 Significant Shift In Small Businesses’ Willingness To Use Social Media Marketing. small businesses report allocating more time to social media marketing to engage their targets. A full 81 percent reported using social media to market their businesses, up from 73 percent in the spring of 2011. Of those using social media marketing, Facebook® continues to be the tool of choice for small businesses with 96 percent reporting using the tool. Twitter® is quickly gaining ground; usage surged in the last six months, from 60 percent in Spring 2011 to 76 percent today. Digital content top priority for travel companies. Social media, content, mobile and apps, and natural search engine optimisation will be the top four areas for travel organizations with 83% planning to increase overall digital marketing spend in 2012, according to a new global survey released today by digital travel online content specialists Frommer’s Unlimited.